For many cataract patients, the standard IOL implant provides satisfactory vision. With standard IOLs, patients who do not have astigmatism generally achieve good distance vision without the need for glasses, though they are likely to be dependent on reading glasses for close-up vision. However, patients with significant astigmatism, or whose lifestyles make reading glasses inconvenient, often opt for an upgraded lens implant. Hoopes Vision’s cataract specialists are experts in the use of two types of premium lenses: toric IOLs and multifocal IOLs. 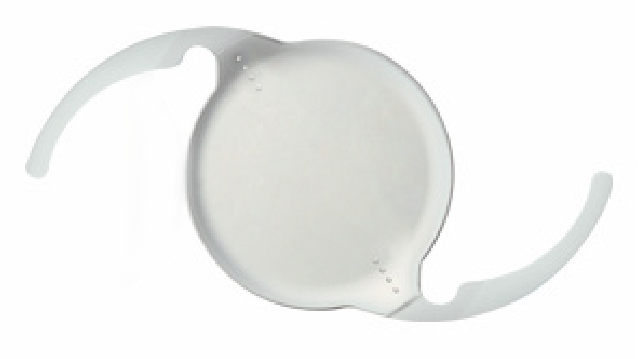 The first toric IOL received FDA approval in 1998. Before the advent of toric IOLs, cataract patients with significant astigmatism almost always needed glasses – usually bifocal – in order to have good vision after surgery. 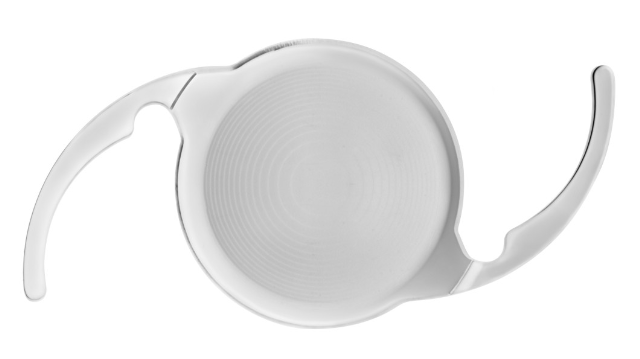 Toric IOLs are used to correct astigmatism; in patients with moderate to severe astigmatism, they can help to greatly reduce or eliminate dependence on eyeglasses or contacts postoperatively. A toric IOL, like a toric eyeglass or contact lens, has additional refractive power located along one axis. Toric IOLs require extra care on the part of the surgeon since the IOL must be placed so that the axis of additional power lines up exactly with the location of the astigmatism in the patient’s eye. The cataract specialists at Hoopes Vision are trained and highly experienced in the use of toric lens implants – such as the Tecnis® Toric – and have at their disposal the most advanced diagnostic and surgical equipment. Intraocular lens implants replace the eye’s natural crystalline lens after cataract surgery or a clear lens exchange. Traditionally, the surgeon would select IOLs for each patient based on what would help the patient achieve the best possible distance vision, and the patient would be told to expect to need reading glasses for close-up work after surgery. Beginning in the 1990s, however, a new type of lens implant was developed: the multifocal IOL, which featured zones of added refractive power in the lens itself. These new IOLs promised improved vision at all distances and have been subject to constant refinement and improvement in the years since their introduction. Today, newer, high-tech multifocal IOLs such as the Tecnis® MF can reduce – or in many cases, completely eliminate – the need for reading glasses after surgery. Multifocal IOLs have the advantage of outstanding post-operative vision at a wide variety of distances, but they do present an additional cost over the conventional procedure. Also, not all patients are good candidates for multifocals: only an experienced surgeon can determine whether they would be of benefit. At your initial cataract examination at Hoopes Vision, the surgeon will discuss with you whether the Tecnis® MF is a good option for your unique eyes and visual needs. The IOL most commonly used in cataract surgery is a monofocal lens, which only allows the person to see at a distance, with closer objects being out of focus. 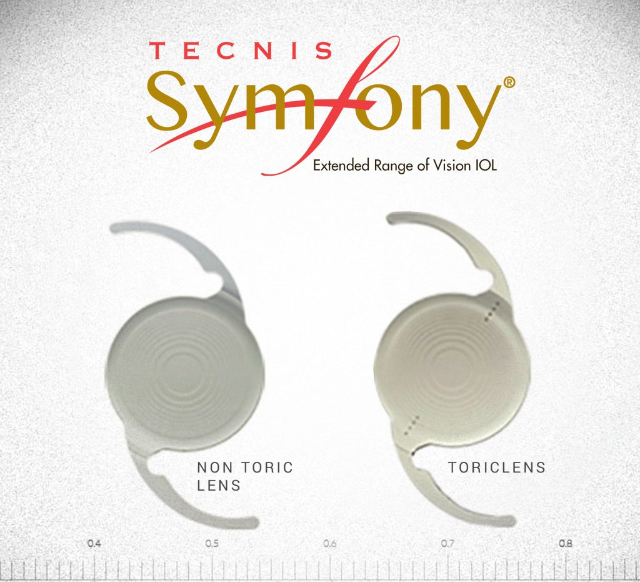 In contrast, the TECNIS® Symfony lens was specifically developed to provide a full range of continuous, high-quality vision following cataract surgery and is the first implant that can treat reading vision and astigmatism simultaneously. • Provided seamless day-to-night vision. Most patients could see objects sharply and clearly at near, intermediate, and far away distances, as well as points in between. • Provided high-quality vision. Some IOLs may leave patients with an inability to focus clearly due to competing wavelengths of light passing through the lens at different angles (known as chromatic aberration), or with vision that is not completely focused because of the shape of the lens (known as spherical aberration). The Symfony lens has been engineered to correct these issues. This new IOL option is for patients who want excellent postoperative vision at all distances while minimizing dependence on glasses. Symfony has been offered in Europe since 2014 where it has produced outstanding results for tens of thousands of patients. Symfony received final FDA approval in 2016 and is now available to patients in the United States. Hoopes Vision is excited about this latest advancement in intraocular lens technology. WHAT LASERS DO YOU USE? Is it an older laser, performing a conventional treatment? Is it a wavefront-guided laser like the VISX Star S4,™ performing a wavefront-guided treatment? Or is it one of the newest generation of wavefront-optimized and guided lasers, such as the WaveLight® Refractive Suite, designed to maintain the natural shape of the cornea while correcting vision? Do they have or use more than one laser? All lasers are not created equal and laser vision correction is a field where enormous strides have been made in technology. Hoopes Vision, for example, has acquired seven different excimer lasers in our 18 years in Utah, each representing an advance in safety and effectiveness over previous models. Our current lasers produce much better night vision than the older lasers, are 10 times faster, safer, and have much lower touch up or enhancement rates. HOW MANY LASIK PROCEDURES HAVE YOU PERFORMED? Even the most advanced laser in the world is only as effective as the surgeon using it, so technology and experience go hand in hand, ensuring a great outcome for your surgery. An experienced surgeon develops smooth and efficient surgical technique that can be consistent with better patient results. In the unlikely event of any kind of complication, an experienced doctor is more likely to have seen similar issues in the past and know how to correct or avoid them. A surgeon that has performed tens of thousands of procedures using the newest technology is going to be more familiar with its strengths and limitations, allowing him to know who is a great candidate for laser vision correction and, perhaps more importantly, who is not. 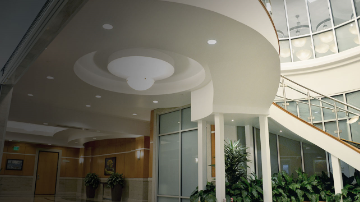 At Hoopes Vision, we have Utah’s most experienced LASIK surgeon and our surgeons have performed over 80,000 LASIK/PRK procedures. The 2003 introduction of the IntraLase™ femtosecond laser revolutionized LASIK by replacing the microkeratome, a hand-held oscillating razor blade used in flap creation, with a safe, fast, computer-guided laser. More than a decade later, most LASIK surgeons agree that blade-free LASIK is safer and gives better results to patients. Hoopes Vision has been using the IntraLase femtosecond laser to create flaps five years longer than any other Salt Lake practice. We currently have two of these femtosecond flap-making lasers. Does your surgeon insist on using only the newer, safer blade-free technology, or does he or she offer blade-free LASIK only as an upcharge? Sadly, a number of centers still only use the outdated bladed microkeratome to cut expenses. Everyone’s eyes are unique, and results from LASIK will be unique and different. Nonetheless, a highly skilled, highly experienced surgeon may be willing to make some assurances to patients based on their confidence with past results. 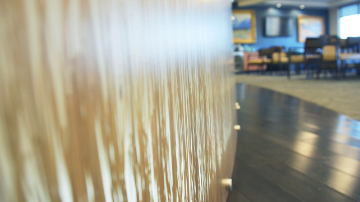 At Hoopes Vision, our See Clearly and Money Back Guarantee was the first of its kind in Utah. It is an assurance of great vision not only now, but in the years and decades to come. HOW MUCH DOES LASIK COST AT YOUR CENTER? While safety and results should be the primary concerns for anyone seeking freedom from glasses and contact lenses, there’s no denying that LASIK and other vision correction procedures can represent a substantial investment. The price of LASIK is an indication of many factors: » The cost of operating the lasers: newer, more advanced lasers have a higher cost per use. » The cost of the diagnostic equipment used to determine a patient’s candidacy for LASIK, and the best treatment plan for each patient’s unique eyes. » The value a surgeon places on his or her own skills and experience. Advertised prices around the country vary significantly from $250/eye – $3500/eye with the average being around $2500/eye. Obviously, the cost will be higher for the newer and better lasers and for the laser to make the corneal flap instead of the metal blade microkeratome. Surgeon experience and confidence with his skills are important also. Does anyone really receive the cheap $250/eye? Hardly ever. This is a marketing ploy and deception to attract patients (sometimes called bait-and-switch) and the patient’s prescription has to be extremely mild and with no astigmatism (most patients will have some astigmatism). Prices at these places don’t include much but can still end up close to what most respected surgeons charge. Life is full of important choices and decisions. However, this is one of those situations where you really do get what you pay for! Would you go to the cheapest surgeon to have heart or brain surgery? It is customary for the price of LASIK to include post-operative care, but how much is included? Is it a full year or only three or six months? If the surgeon is willing to guarantee your results, is that guarantee included in the price of surgery or is it a separate expense? Are all of their LASIK procedures blade-free, or is the newer safer technology available only as an upcharge? Will they offer or perform a wavefront-guided or wavefront-optimized approach, giving better night vision with lower touch up rates? Candidacy for LASIK or other laser corrective surgeries is determined by a number of factors including the type and degree of refractive error (nearsightedness, farsightedness, astigmatism, or presbyopia), thickness and shape of the corneal tissue, and the presence or absence of a number of ophthalmic and general health conditions. Many of the eye tests and measurements necessary to determine LASIK candidacy are beyond the scope of a routine eye exam, and all of them require interpretation by a doctor specialized in LASIK surgery. Because of this, LASIK surgery providers generally provide the initial screening tests and consultation free of charge. Some discount centers only use one older corneal scanning/mapping device which many consider outdated. We use four different mapping devices. Each one adds additional valuable information. 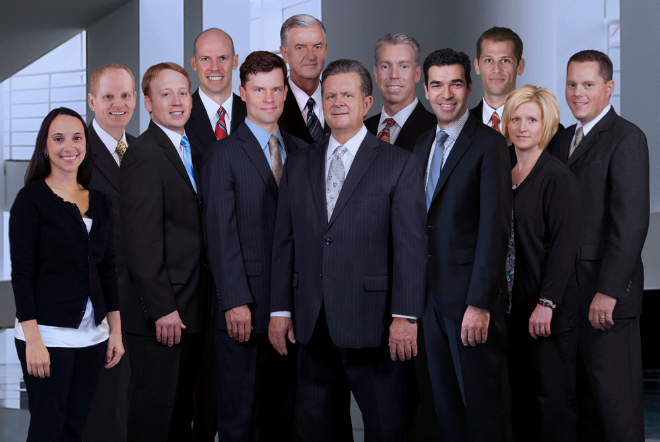 Our team of cataract specialists is among the most experienced in Utah. More importantly, they are among the most experienced in the country with the highest levels of cataract surgery technology: multifocal implants and laser-assisted procedures. 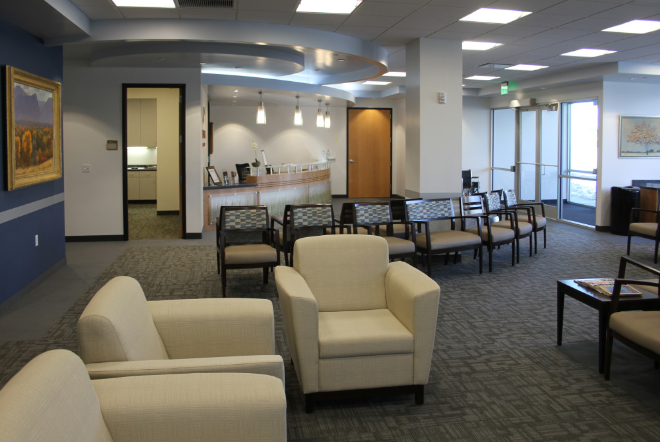 EyeSurg of Utah is our on-site, state-certified, Medicare-approved ambulatory surgery center. It was designed from the start to optimize cataract and other vision correction procedures, and its nursing and technician staff are all specialized for eye care. It offers advantages in speed and efficiency over a hospital or general surgery center, as well as reduced risk of infection. While our goal is to provide the safest, most advanced cataract procedures possible, we are also very proud of how affordable our care is. 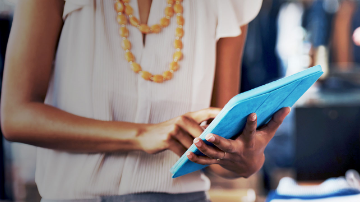 We work with almost all major insurance companies, and any upgrades not covered by insurance are often eligible for no-interest payment plans. In order to help patients and prospective patients better understand these lens implant procedures, the surgeons of Hoopes Vision have written a book, Cataract, Lasers, and Refractive Lens Implants: A Guide for Patients and Their Families. It is available for free download here, or if you would like a paper copy, please feel free to contact us. If you have been diagnosed with cataracts and want to learn more about your lens implant options, please contact us. We would be happy to give you an examination and VIP consultation to determine your treatment options. This visit is usually covered by medical insurances including Medicare.